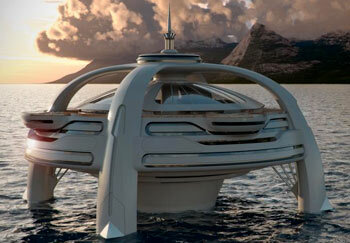 BMT Nigel Gee’s avant-garde concept design Project Utopia has won a design award. The plans earned BMY and Yacht Island Design the ‘Superyacht Design of the Future’ award, presented at the Monaco Yacht Show. “The level of enthusiasm around Project Utopia has been overwhelming and it’s great that the judging panel of these awards has recognised and duly credited the concept as a real and possible vision of the future,” said James Roy, yacht design director at BMT Nigel Gee. You can read about Project Utopia, and see more images, on ybw.com.